Submitted by admin on Tue, 04/22/2014 - 08:32. Planted in 2009 this site has a mix of English oak (Quercus robur) and European hazel (Corylus avellana). The field was an old pastoral site and preparation involved cultivating the soil, pH amendment, trace element monitoring, installation of irrigation and sowing a cover crop once the trees were planted. 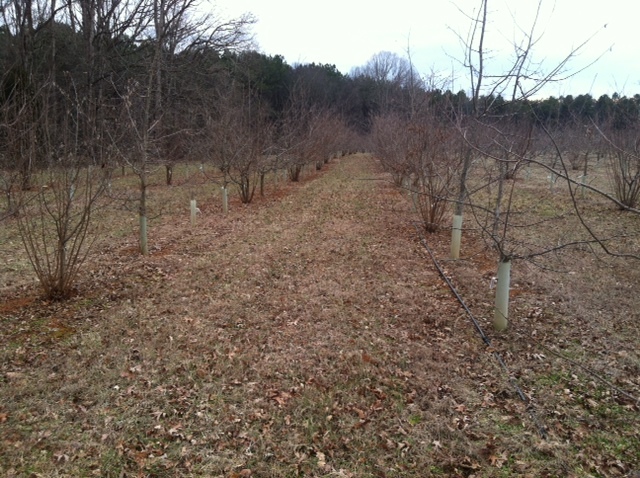 The truffle orchard is located in North Carolina, USA. The tree development has been superb. The mycorrhiza has been intensively monitored and this site is showing very good potential. The trees have very high truffle colonization rates and the site is expected to be in production this season. Soil pH and trace elements are well monitored and the site underwent an additional pH adjustment step in 2013. Trained dogs will be brought on site to check for fruiting bodies in late 2015.